Please take a few moments to explore our website and learn about our staff and services. We strive to deliver outstanding service to every patient, every time you visit us. At Pediatric Dental Specialist of Hiram, you’re more than just a patient, you’re a friend! 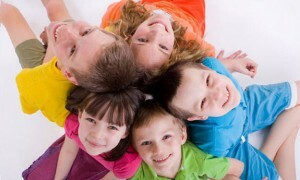 Our staff will provide you and your family with the qualified, soothing dental care you deserve. From our comfortable, state-of-the-art office to our experienced, dedicated staff, our goal is to help you achieve your brightest, healthiest smile. Call us today at 770-943-0011 to schedule your consultation. We look forward to meeting you and your family and helping you have a healthy, happy smile for years to come! We are proud to serve the Hiram, Powder Springs, Dallas, Clarkdale, Douglasville, Villa rica, Rockmart, Breman, Austell, Smyrna, Marietta, Acworth and surrounding communities!